One of our favorite photo exhibitions this season is at Charles-Wesley Hourde’s 31project gallery, in Paris, until April 27th. A specialist in art from Africa, Oceania and America, Hourde partnered with visual arts researcher and curator Clémence Houdart to present a series of artists from Africa and the diaspora. 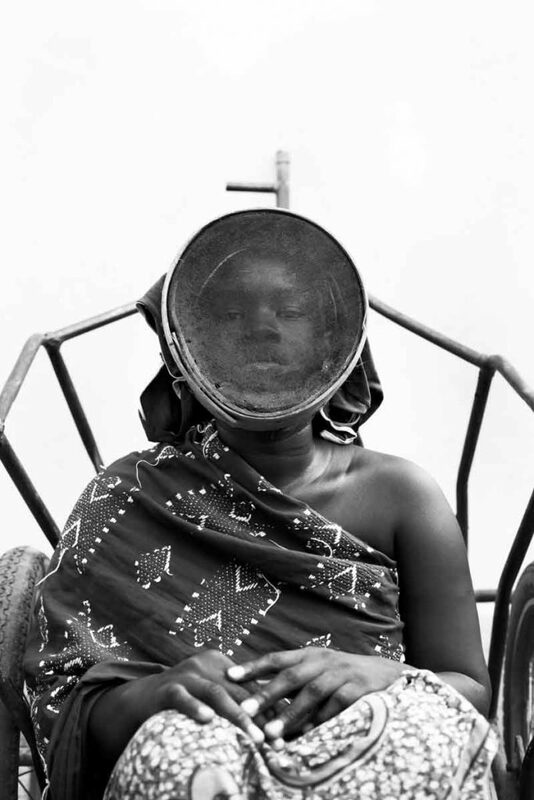 First up within this series, the Malian photographer Fatoumata Diabaté is showing photos from two personal projects, Man as Animal and Man as Object, which she developed between 2011 and 2015 as a way of looking into the evolution of Malian traditions and beliefs. TRUE Africa interviewed Diabaté and Houdart on the eve of the show’s opening. Why this fascination with animal figures? Fatoumata Diabaté: Animals and objects are central in my work. They’re essential characters in Malian culture but also in ordinary life. They pervade our daily routines. Animals inhabit fairy tales and fables, symbolizing good, evil, wisdom, and ignorance. They can communicate every dimension of our lives, acting as loyal guides or mischief-makers. I love these mysterious figures that straddle what’s real and what’s imaginary. How do you think young women are shaping Malian society today? FD: I’m part of a new generation of women defined by awareness. We have the possibility of obtaining more freedom, equality, and autonomy. We’re at a turning point. Even if Mali isn’t entirely ready for change, women are speaking up and getting people to listen – it’s a movement. Along with the Organization of Malian Women Photographers, which I preside, we’re striving in our field, with our particular medium, towards these changes. 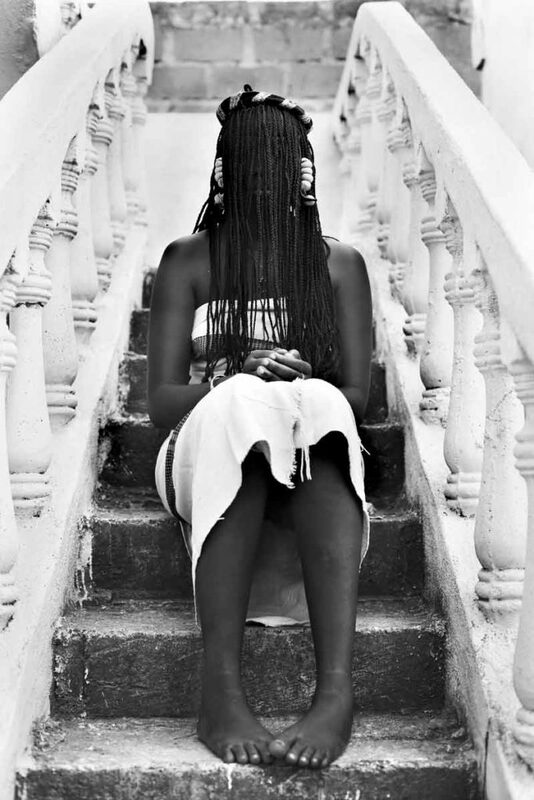 How did you discover Fatoumata’s work? Clémence Houdart: I first came across Fatoumata Diabaté’s work while I was organizing an exhibition at the Havre Museum in 2017. We selected her pieces for their unique visuals, alongside their challenges to concepts of identity. Barely two years later, Charles-Wesley Hourde and I founded 31project, and we knew from the outset that we wanted to work with Fatoumata for our inaugural exhibit. What do you find interesting about her work? 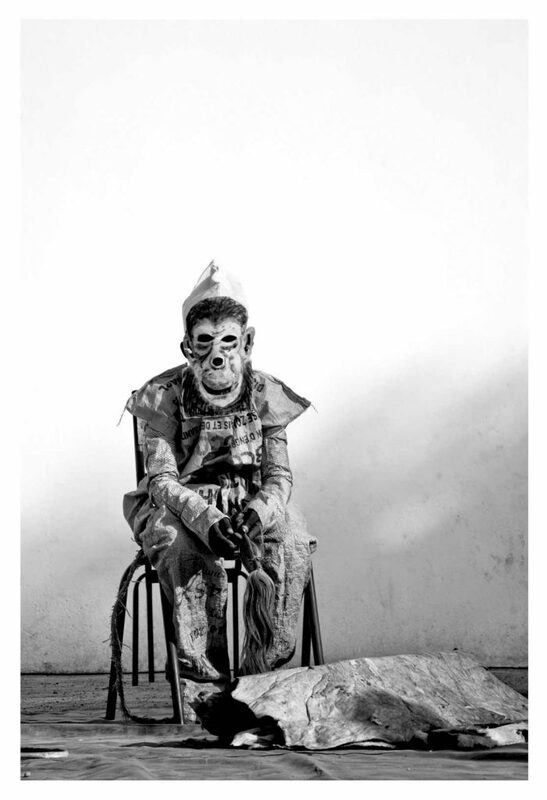 CH: These two photo series, Man as Animal and Man as Object, draw on Malian mythology and collective memory, combining animals and objects in strongly symbolic imagery. Whether it’s an animal or an object, the mask covers or hides a human figure. Human beings slip into the background, becoming hybrid bodies, part-animal, part-object. 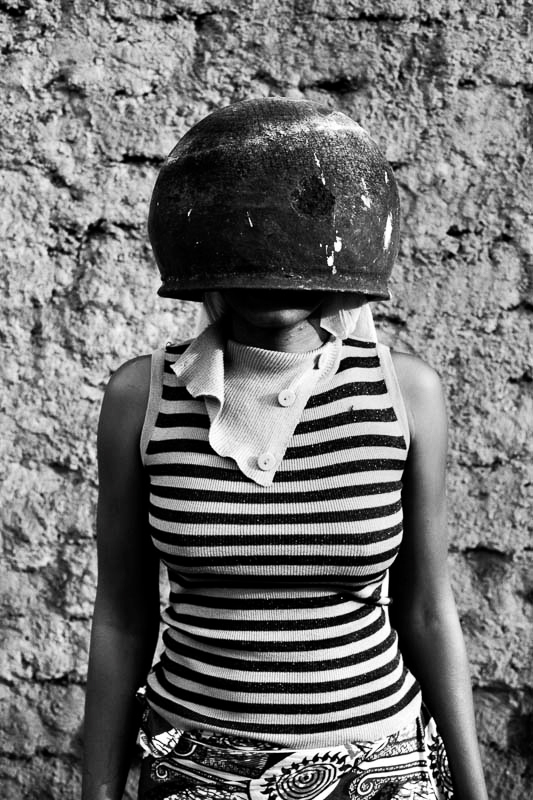 I love this idea, as well as Fatoumata’s photographic identity as a whole, which is as playful as it is powerful.